✐ One time registration fee of $30 is non-refundable. ✐ All payment has to be made prior to class commencement by cash or cheque to “Chalk n Pencils”. ✐ Students are to provide a minimum of 24hr notice for class cancellation to prevent forfeiting of lesson fees. ✐ Follow school terms in Singapore, no lessons will be conducted during school and public holidays as stipulated by Singapore’s Ministry of Education and Ministry of manpower respectively. ✐ Paid fees will not be refunded but may be rescheduled within the time frame of 6 weeks from the commencement date. ✐ Students are advised to arrive no earlier than 10 mins prior to the start of class and parents/guardians are to pick them up on time. We would appreciate if you could advise us in a timely manner if alternative pick up arrangement arranged. ✐ If the student is unwell, we will request him/her to remain at home until he/she has completely recovered. ✐ Changes in personal particulars especially mailing address and contact numbers must be notified to the us so as to ensure prompt and effective communication. ✐ Inappropriate or violent behaviour in class will be dealt with according to our disciplinary policy described overleaf. ✐ Any medical conditions that may interfere with learning in a group classroom setting must be declared at the time of registration. 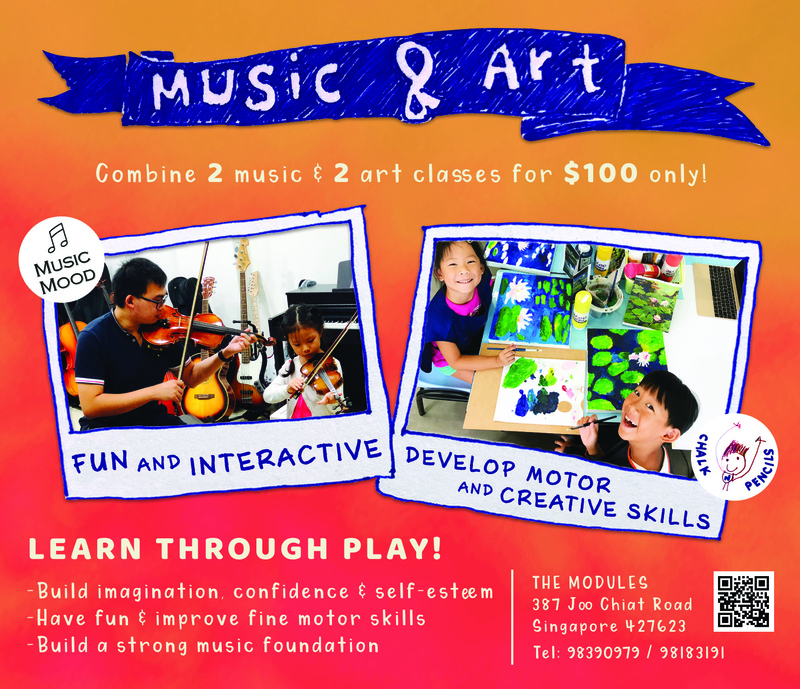 Your child's artistic journey starts here.